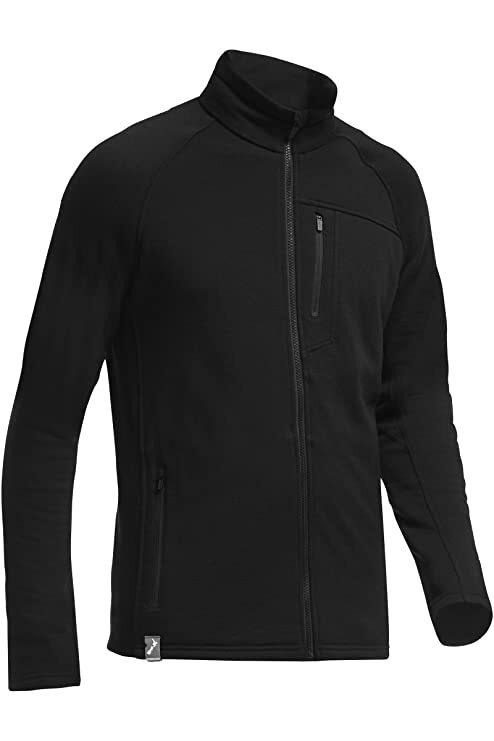 The highly technical Oasis Long Sleeve Hood comes from our Bodyfit collection of active base layers and is made from lightweight 200gm merino fabric for hiking, climbing and snow sports. There’s a zip neck collar for temperature regulation, a fitted hood for wearing under a helmet, offset sleeves to eliminate pack rub and drop-tail hem for extra coverage, plus anti-chafe flatlock stitching. Slim fit. The ever-popular Quantum Vest in our Technical Mid Layer range is made from 260mg terry merino to keep you warm on cold-weather workouts. This slim-fitting and streamlined style has eyelet mesh side panels for ventilation and mobility, a drop tail hem for extra protection and a chest pocket with a cord hole for your earphones. The Apex Leggings With Fly belong to our Bodyfit active base layer collection and are made from highly insulating 260gm merino fabric for warmth in cold conditions. The gusset is designed for comfort and with no center back seam there’s no rubbing. Regular fit. The wind resistant Legacy Coat from our Pure Plus collection is the coat you’ll want to wear everywhere this winter. With sophisticated design lines and a stylish topographical map print on its lining, the Legacy Coat features a storm flap, stretchy internal cuffs to keep out the cold and a large inside pocket for your wallet, passport or phone. From our Premium Underwear range, this long sleeve crewe is made from our lightest, finest Bodyfit150 fabric. It fits close to the body, for a great fit and has forward side seams and raglan sleeves for extra freedom of movement. Packing for adventure travel? Reach for the handsome 100 woven merino Departure-its lightweight, airy feel and sophisticated details make it the ideal choice for stylish traveling in hot weather. This versatile Tech Top Long Sleeve Crewe comes from our Bodyfit active base layer collection and is made from highly insulating 260gm merino fabric to keep your body at an ideal temperature when you’re enjoying the outdoors. Functional features: offset shoulder seams to prevent pack rub, forward side seams to eliminate chafing and a drop-tail hem for added coverage. Regular fit. Great for the weekends, the Long Sleeve Half Zip from our Everyday range of thermal underwear is made from 200gm merino. The Quattro Polo from our Journeys collection, made with thin, light, 150gm merino, is the perfect companion – whether you’re exploring the city or travelling the world. Contrast color in the chest pocket and stitch detailing give it a stylish edge. 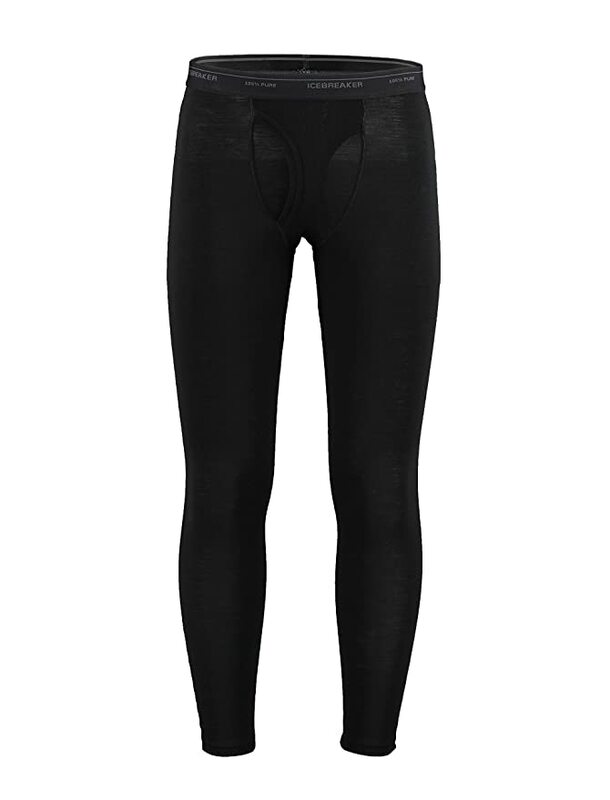 The Men’s Everyday Leggings with Fly deliver comfort that is far beyond the ordinary. 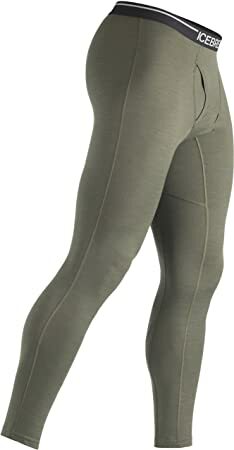 Built with a light, breathable 200gm pure merino rib fabric, these leggings are great for all active pursuits. A gusset enables freedom of movement, flatlock seams reduce chaffing during high activity, and a brushed waistband feels great under layers. And merino’s natural odor prevention means that you really can wear them day after day on your next adventure. Lighter. Warmer. Stronger. The Sierra Hood is made with Icebreaker Real FLEECE, which features a nylon core, making it warmer and lighter than ever-plus a touch of LYCRA for superior stretch and recovery. The result? It’s one of our best-fitting mid layers ever.